An increase in training demand at our offices drove modernisation. We have increased the capacity from 7 to 9 people and replaced all of the desks, chairs and PCs to provide a much more modern and stylish learning environment. 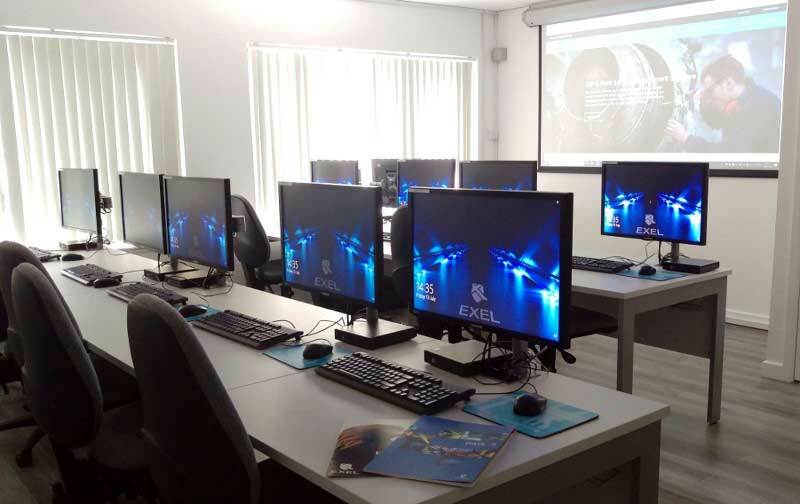 Exel run Classroom Training courses on the full range of EFACS ERP Software modules and technologies on a bimonthly basis, so that new customers can cover the whole range of topics within a two month period. Existing customers who roll-out new modules or need to retrain due to staff changes can book onto individual courses as required.